Normally the crypto coins like bitcoin , ethereum, litecoin are highly volatile in nature and it is common to see an increase or decrease of its value on a daily basis. This makes inconvenient daily transactions of most cryptocurrencies. Stablecoin offers an elegant for this problem. A stablecoin is a global cryptocurrency that is meant to hold a stable value, which has price directly linked to a fiat currency like USD, EUR etc,(1 unit of cryptocurrency stablecoin = 1 USD). 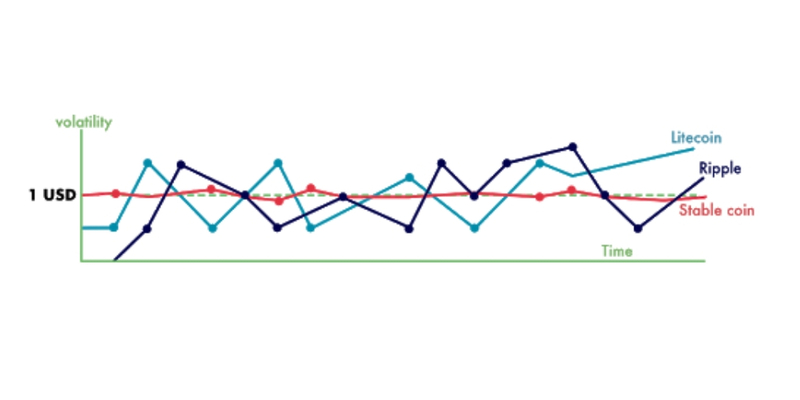 This stable value of crypto coin prevents high volatility in the crypto market. Why do stablecoins are needed? One of the biggest problem in cryptocurrencies today is their volatility. This can be overcome with stablecoins. An ideal stable cryptocurrency should have some following traits like scalability, privacy, decentralization and most import key feature is stability. The major use case for stablecoins is that it acts as a liquidity tool for cryptocurrency exchanges. This is a type of stablecoins that are backed by other reserves of cryptocurrencies. This kind of stablecoins will rely on smart contracts to sell tokens and thus these coins are not backed by any reserves. Interested to create your own stablecoin? Coinjoker as an eminent stablecoin development company deals with stablecoin development services and trading of stablecoins. 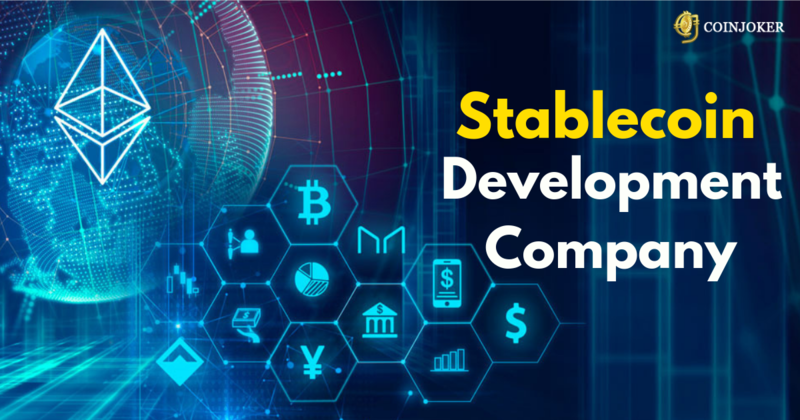 Our experienced group of blockchain developers will help you with stablecoin development and cryptocurrency exchange development which will take your business to the next level in the global cryptocurrency market. Token creation and branding - Our team of stablecoin developers will create secure tokens that would be available on ethereum blockchain and these tokens are brand by itself. White paper - A completely secure and easy to understandable whitepaper is created with all insights of your business model, what most investors look for to invest in your idea. Smart contract development - Our expertise blockchain developers will deploy smart contract on ethereum blockchain to make it go live. This smart contract is build up using solidity or any other suitable programming languages. Fill out the form to get a live demo >> Create Your Own Stablecoins Effectively!